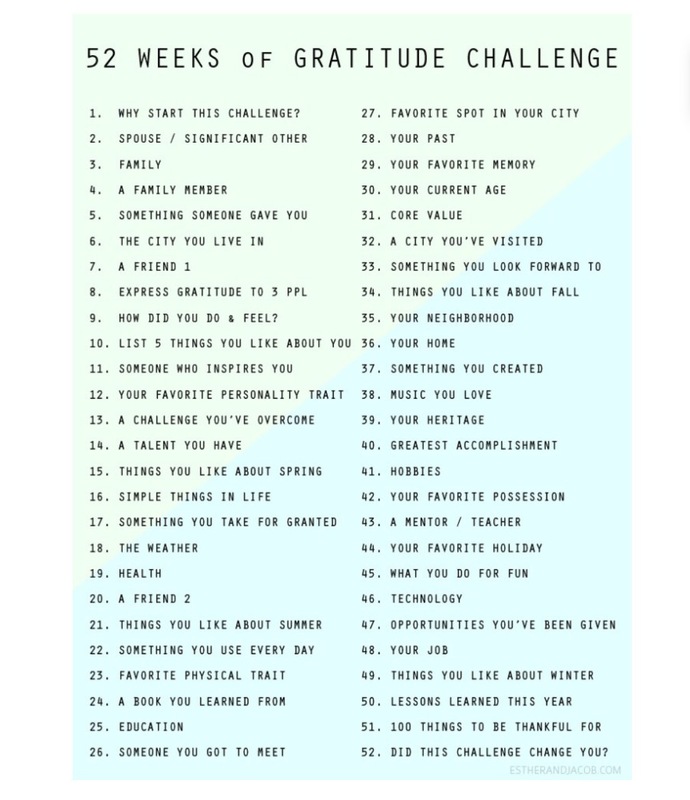 52 Weeks of Gratitude Challenge: Why Start This Challenge? I recently came across a pin on Pinterest that quickly caught my attention. We all must admit that we live selfish lifestyles from time to time without being truly grateful for all the many blessings we have been given. I decided to take this challenge in an effort to become a more grateful person and see what it could do to my lifestyle. I know that if I stick to this challenge, I will realize all the things I have been taking for granted. The first week’s prompt is Why start this challenge? In starting this challenge I hope to take a step back from the hectic life I currently lead and enjoy all the blessings I have been given. I want to invite everyone to take the challenge even if you choose not to share your responses. I know you won’t regret it!